The paper presents the method of improving movement accuracy of the tool and the blank when turning cantilever-fixed parts. One of the reasons limiting accuracy improvement in cantilever-fixed parts turning is an untimely sending correction signals to the control actuator. In a real drive it is impossible to check the time of sending correction signals, since registration, processing and transmission of the signal via feedback channels takes a certain amount of time. As a result of the feedback signal falling, there is a tool correction delay in the turning process. It results in the additional error component. When using a computer model of the cutting process in the guidance loop, it is possible to create and send a feedback signal to the control channel without any delay. This lets the actuator adjust the tool movement in advance. Keywords: blank, tool, model, modeling, cutting, accuracy, efficiency. Weitz V.L., Maksarov V.V. The dynamics of technological systems of machining: Monograph in 5 parts. Part 5. Self-oscillations in the machining process systems. – St. Petersburg: SZTU – SpbIMash, 2002 – 224 p.
Kudinov V.A. Dynamics of machines. – Moskow: Mashinostroenie, 1967. 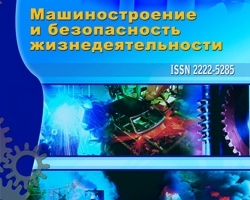 – 260 p.
№1 (15) 2013, Pavlov G.A., The improving of cutting cantilever-fixed parts on CNC lathes, Zharkov N.V.